Discovery Cube’s popular spring break tradition, returns March 30 through April 21, 2019. 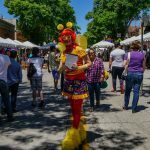 The three-week festival will feature entertainment for all ages featuring the return of the Mega Bubblefest Laser Show along with interactive science experiments including the Bubble Lab, Water Spheres, the Mega Bubbles Courtyard and bubble art studio. What Will I See At Bubblefest? Inside the Mega Bubblefest Laser Show, guests will witness Bubble Scientist Deni Yang and Melody Yang perform astounding artistry and stunts with bubbles, smoke, lasers, and a few volunteers from the audience. 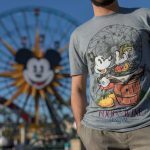 Their repertoire of tricks includes a bubble carousel, smoking bubbles, bubbles within bubbles, and more. The Yang siblings have been demonstrating bubble art with their family since childhood. Throughout their career, they have earned international acclaim and the Guinness World Record for producing the largest bubble ever, measuring over 170 feet. The Mega Bubblefest Laser Show runs on select days four times a day at 11:00am, 12:30pm, 2:00pm and 3:30pm. 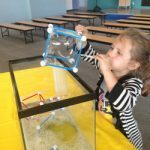 Hands-on exhibits and learning encounters demonstrate the science concepts behind the art of bubble making such as surface tension, elasticity, air pressure, and more. Where Do I Get Tickets To Bubblefest? Don’t miss the Bubble spectacular opening on March 30th. General admission tickets or memberships and Bubblefest tickets are both required to access Bubblefest XXIII. Bubblefest pre-sale tickets are $5 for members and $7-$8 for non-members. After March 29th, Bubblefest tickets will be $10. Tickets can be bought online at www.discoverycube.org or at the science center. General admission prices are as follows: adult ($19.95), senior ($16.95), and children 3- 14 ($14.95). New this year, the Discovery Cube will feature a one-night-only Bubblefest Family Night on April 12th from 6:00 pm – 9:00 pm. The exclusive event will enable guests to explore the entire science center and enjoy all that Bubblefest has to offer with less than 500 guests inside the building. Experience Bubblefest like never before; free of crowds. The price of the ticket ($55/person for non-members; $50/person for members) includes a private showing of the Mega Bubblefest Laser Show, special mixer with the show’s stars, complimentary parking, exclusive access to the entire science center, and light refreshments. Space is limited. Find tickets for the special event here https://oc.discoverycube.org/event/bubblefest-family-night/. 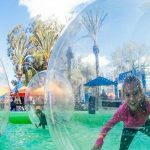 The OC’s Bubble Fest Returns To Discovery Cube Orange County April 1-16th! Invisibility, Light Bending & Walking On Water…. ‘Impossible Science’ At Discovery Cube LA…Until March 27th Only! 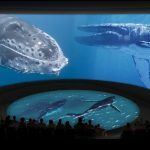 The Stunning ‘Pacific Visions’ Opens This Spring At The Aquarium of the Pacific!